He leaves a mess of cat fur in every room he enters. He runs around the house in the middle of the night, knocking things over like some kind of demon. He refuses to drink water from his dish, but will gladly lick every drop of water from the bathtub after someone takes a shower in it. Sometimes he attacks peoples’ legs for no reason. Oh, he also doesn’t pay rent and if you make him mad, he’ll pee in your carry-on luggage bag. He’s the worst, but darn it if he isn’t so adorable that you have to forgive him for being a total maniac. Well, the good news is that this Folkmanis captures the cuteness of a real cat, but comes with none of the downsides of having a cat roommate. 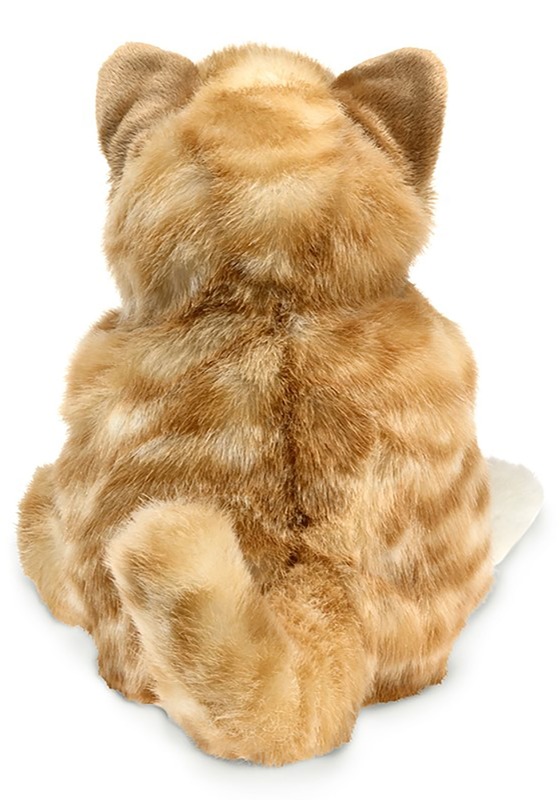 This Orange Tabby Kitten puppet measures about 8” tall and he’s covered in a thick layer of faux fur. There’s a small opening in the back that lets you move his mouth and paws. Also, he’s adorable. Did we mention that already? 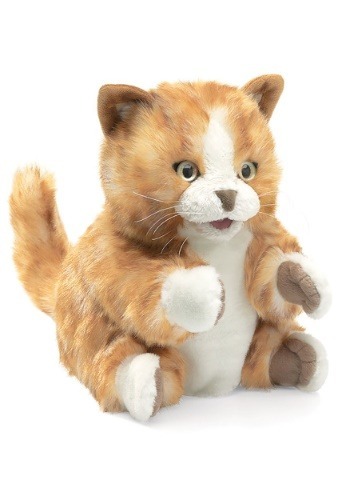 Whether you get this little kitty to see what it would be like to have a cat for a roommate or you just need a new addition to your puppet show, this cute cat puppet is a great way to do it.